In the past three years, two major storms have devastated the Diocese of Raleigh, forcing thousands of families from their homes. In response to Hurricane Matthew in 2016, Catholic Charities collaborated with the Knights of Columbus to form NC Catholics Volunteer. 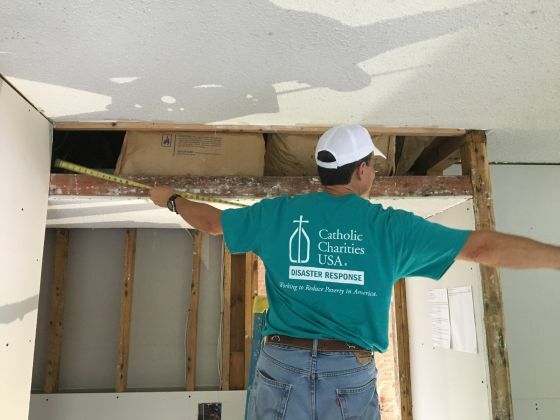 “We formed this group as a way for Catholics in the Diocese of Raleigh to come together and share their time and talents to help families impacted by this terrible storm,” said Daniel Altenau, Catholic Charities Director of Disaster Services. 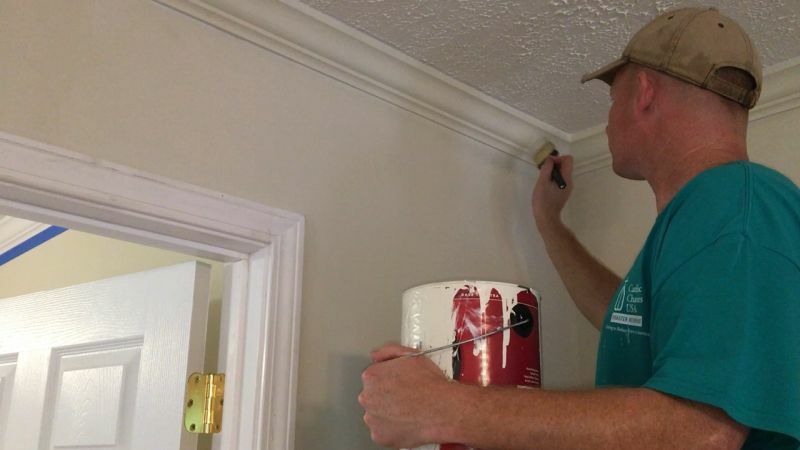 Since the group started work in June 2017, over 50 volunteers have participated in 11 one-day trips on Saturdays to Princeville and Fayetteville to help repair damaged homes. 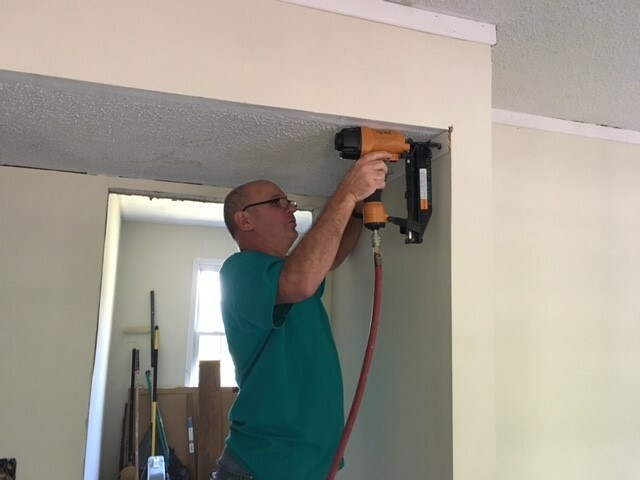 The NC Catholics Volunteer group works on sites that are managed and supervised by the Eastern Conference of the North Carolina of the United Methodist Church. The Methodists coordinate volunteer groups and provide the tools for the energetic volunteers ready to help. North Carolina was unfortunately again impacted by a disaster when Hurricane Florence again brought torrential rain and high winds to the Diocese. 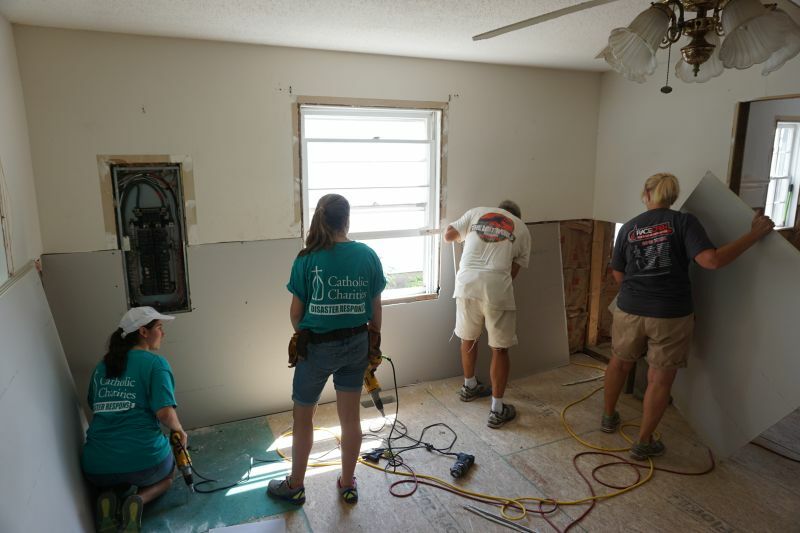 Due to the combination of families still recovering from Hurricane Matthew and the many new families who will now need repair work completed, NC Catholics Volunteer is looking to grow. In 2019, the program hopes to double the number of volunteer opportunities that are available and have even more volunteers participate. Volunteer dates are currently scheduled for March 9th, May 18th, and June 22nd. As those dates fill up, additional dates will be added. “We need volunteers to make this work,” said Altenau. “So tell your friends to join you one weekend and sign up for this fulfilling volunteer opportunity. To register as a volunteer, interested individuals can visit www.CatholicCharitiesRaleigh.org/NCCV.